November 8 – 9, 2018. Hotel Ribera de Triana. Plaza de Chapina, S/N, 41010 Seville, Spain. 450 spaces including attendees and speakers. In addition to the onsite conference, this eighth edition includes an option to participate virtually. This format will not be a streaming version of the onsite conference, but rather have its own dynamic as a virtual conference, with some of the same aspects as the onsite version, although there will be no oral presentation. The organization committee for the conference will provide a virtual forum on which this modality will take place. The dates and guidelines for presenting communications and the topics covered will be the same for both modalities. We ask that you please see the “Contributions” section for more information. IMPORTANT: The virtual papers will be available on the forum provided during the two days of the conference (November 8 and 9, 2018) until November 30, 2018 for all conference participants (speakers and attendees) to have the opportunity to consult them. Share the results of research conducted by members of the Sociedad Española de Lenguas Modernas. 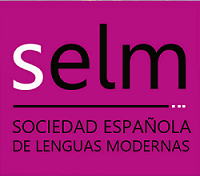 Share teaching and translating experience of the members of the Sociedad Española de Lenguas Modernas, within any of the eight sections organized. Share professional experiences of the members of the Sociedad Española de Lenguas Modernas, within any of the eight sections organized. The following languages may be used for communications and presentations: Basque, Catalan, English, French, Galician, German, Italian or Spanish. Unless the author objects, all selected contributions will be included in an original publication with ISBN (Conference Proceedings). The highest quality contributions, as deemed by the Selection Committee, will be subject to publication in a monograph for the section the presentation belongs to with ISBN, as well as in the scientific journal Linguae with its corresponding ISSN. As a result, contributions will undergo a new double-blind revision as established in journal policy as well as pertinent adaptations for the new publication. Speakers: May 1 – June 30, 2018, both inclusive. Attendees: October 15, 2018, both inclusive. After the conference is completed, speakers and attendees will receive an accreditation certificate via email. If a paper copy is needed, it can be requested by writing to the organizers at congresoselm@lenguasmodernas.com, indicating a mailing address. Registration fees will only be refundable until September 30, 2018, upon presenting confirmation of payment.